Donegal ETB’s Further Education and Training (FET) service recently welcomed representatives from the International Brotherhood of Boilermakers Canada to its Letterkenny Training Centre. The International Brotherhood of Boilermakers (IBB) Canada is linked to the International Brotherhood of Boilermakers, Iron Ship Builders, Blacksmiths, Forgers and Helpers, a diverse union representing workers throughout the United States and Canada in industrial construction, repair, and maintenance; manufacturing; shipbuilding and marine repair; railroads; mining and quarrying; cement kilns and related industries. The IBB began in the United States in 1893. Over the last five years, Donegal ETB has developed links with the IBB Canada in order to expand international work experience opportunities for its welding learners. Donegal ETB’s FET Service met with incoming IBB International Vice President Arnie Stadnick, IBB National Director of Health and Safety Jason McInnis, IBB Assistant National Programme Coordinator Jim Beauchamp and IBB European Representative Tom McEnroe, all of whom have previously visited Donegal ETB’s Letterkenny Training Centre. 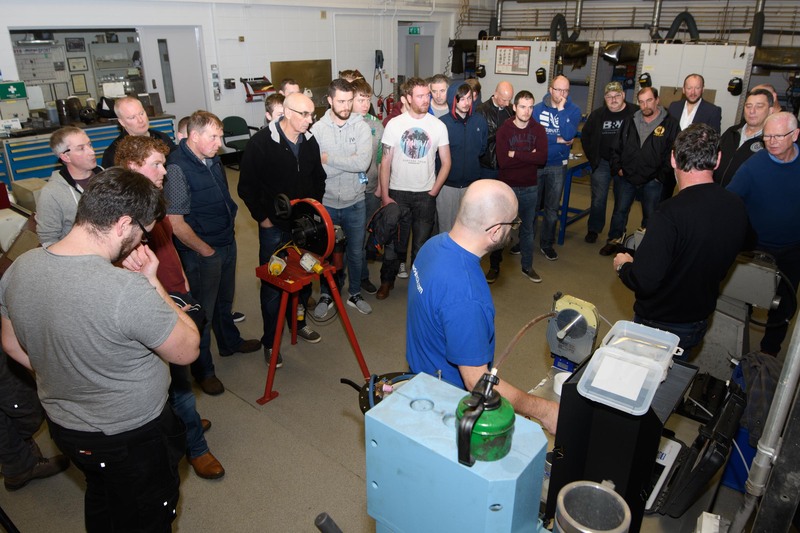 Donegal ETB offers an extensive range of basic, intermediate, coded pipe and Engineering Operations training. 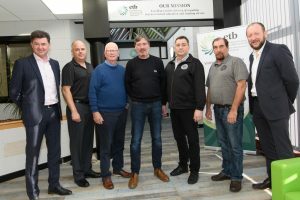 IBB Canada representatives expressed their delight with the quality of the welding training being provided by Donegal ETB which has been recognised by the IBB Canada. Left-right: Vinny McGroary, Area Training Manager, Donegal ETB; Jason McInnis, National Director Health and Safety International Brotherhood of Boilermakers (IBB) Canada; Tom McEnroe, European Representative, IBB Canada; Cathal McGee, Donegal ETB Welding Instructor; Arnie Stadnick, incoming International Vice President, IBB Canada; Jim Beauchamp, Assistant National Programme Coordinator, IBB Canada; Colm Richardson, Assistant Training Centre Manager, Donegal ETB. Donegal ETB Welding Instructor Cathal McGee showing Jason McInnis, National Director Health and Safety, IBB Canada and Arnie Stadnick, incoming International Vice President, IBB Canada, some stainless steel orbital welding test pieces that were completed in Donegal ETB’s Letterkenny Training Centre. 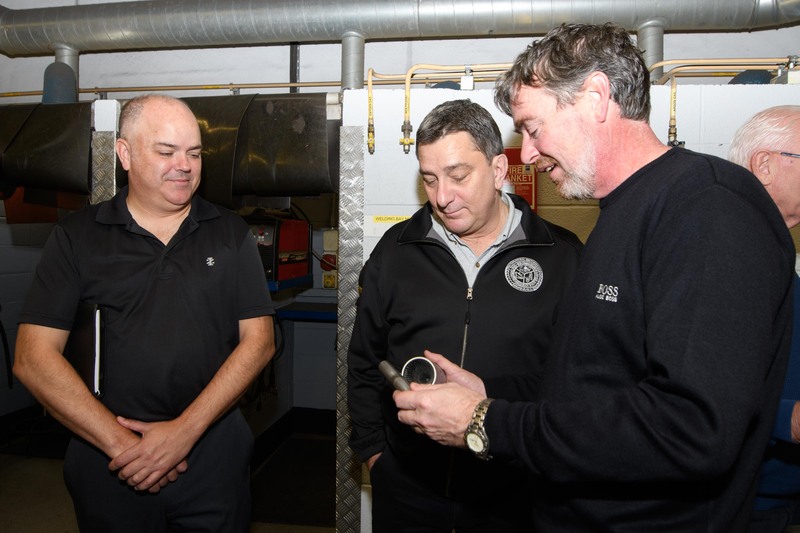 International Brotherhood of Boilermakers Canada representatives viewing training facilities at Donegal ETB’s Letterkenny Training Centre with Donegal ETB learners and staff during their recent visit.